Chakra’s are energy centre’s in the body. When your Chakra Centre’s are aligned, clear & balanced you will feel alert, open, in the flow, connected, grounded & present. These are just few benefits of Chakra Balancing. 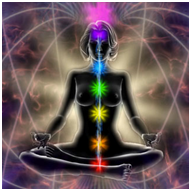 Chakra Balancing is vital for our Physical body health, our bodies vital organs & internal balance. To be alert to our emotional guidance system, our feelings, trusting our feelings & honouring what our emotions are needing, guiding us to & helping us to let go of…. Our mental health our clear thinking, or sometimes our not so clear thinking, that can feel muddled, clouded or off. To our spiritual health our beliefs, our greater sense of self, our desires & passions. Balancing each of your main Chakras can benefit you highly. Clearing out what has been muddling your mind or what you need more of to feel a greater sense of support & to listen to your own inner clarity of what your emotions are wanting to share with you. In each Chakra Balancing session Terri uses a variety of high quality Crystals, Reiki Healing & tunes into each Chakra’s to bring through messages. These messages are directly from your Chakra’s & how they can work with greater strength & alignment for you. Terri is the ear to listen to what they want to say. How you can support yourself with their guidance. And how your Chakra’s will & can support you now. Treat yourself, your inner balance creating greater harmony for outer balance in your life today!